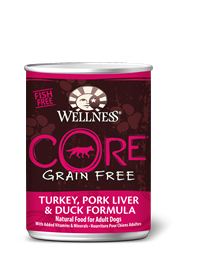 Grain-free CORE Small Breed has optimum protein and calorie levels to help support small breeds who have higher energy needs. 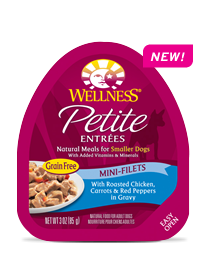 It’s made from turkey, chicken, salmon oil and fruits and vegetables. Combination Feeding: If feeding with wet food, reduce dry amount fed by 1/8 cup, for every 2 tbsp. of wet food. Calorie Content: This food contains 3,598 kcal per kilogram or 396 kcal per cup ME (metabolizable energy) on an as fed basis (calculated).